Dr. Witty treats injuries of the upper and lower extremities with specialized training in arthroscopic surgery of the shoulder, elbow, hip, and knee. 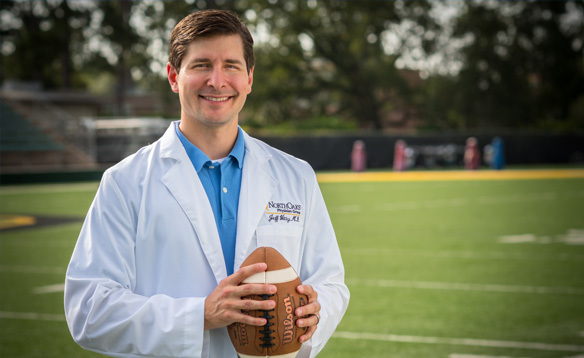 Dr. Jeff Witty is a sports medicine and arthroscopic fellowship trained orthopaedic surgeon with the North Oaks Orthopaedic Specialty Center. He treats a variety of conditions and injuries to the upper and lower extremities. Platelet rich plasma (PRP) is a treatment used to promote healing in injured joints, muscles, ligaments and tendons. Great bedside manor, and very thorough with his patients. Awesome experience.